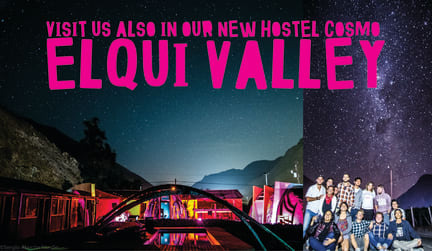 Hostel Cosmo Elqui Stage i La Serena, Chile : Boka nu! The best hostel ever. The staff was very nice, Julia is fantastic. Good location and clean hostel with good showers. The wifi works all over the place. Everything was amazing. Great place to meet good people. The staff is awesome, every single one of them. Kitchen is well equipped and the closest supermarket is 2 minutes away walking distance. Any question about tours and so, feel free to ask in the reception, they will most certainly help you out! 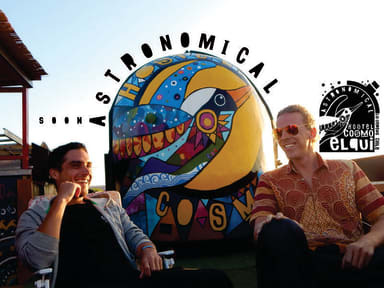 If you like loud music, late nights and early mornings combined with daily trips.. cosmo elqui is the place to be at.